How about this? A brand new C64 title, available from today! 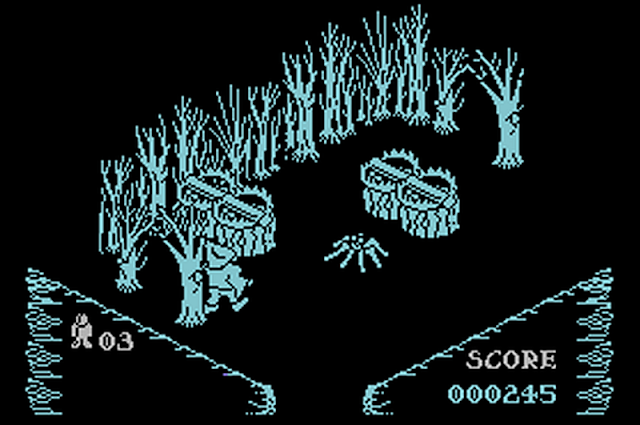 Ported from the ZX Spectrum to the Atari 8bit back in March, this port of Pentagram gets some exclusive Commodore features: Such as supporting the 2nd fire button on C64GS compatible joysticks, 25% speed up on C128, and new screen and sprite blitting routines. Also immortality, mega jump, teleportation and time bending cheats to help you through this rather tough isometric adventure. 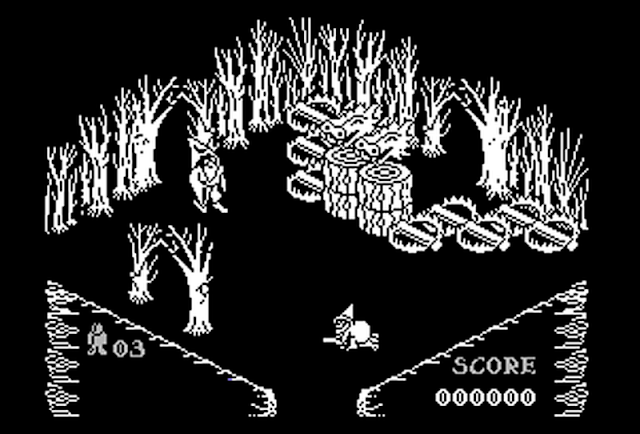 This is the fourth game in the hugely popular Sabreman series from Ultimate Play the Game, originally released in 1986. 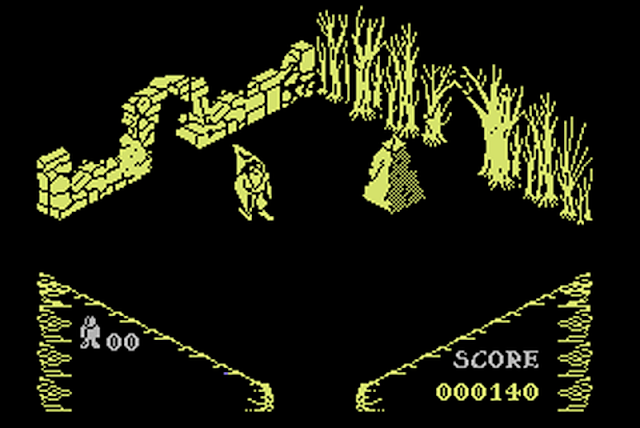 You play Sabreman the wizard, in his quest to find the pentagram, and the magic runes which will allow you to take its power. Trying to stop you are a variety of deadly traps, devious puzzles and irritating enemies, which luckily (most of them) you can now destroy with a new spell you gained since the last game. As is common with these types of games, precision jumping and a thorough understanding of the levels and map are required to progress. The game got mixed reviews back in the day, but Crash magazine gave it a huge 93% on the ZX Spectrum, and I'd agree with them, this is a fantastic game, really worth the effort to master. I really liked the background story, added to the game by porters Rod and Emu, which you'll find in the documentation. If you can complete 10% of the game without cheats, you're doing better than me.